The Future of Transportation is a study and conference on the subject of 'What Next?’. 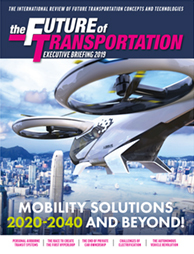 One of our core themes is ‘Getting Transportation Off the Ground’, in which we examine how quickly personal airborne transportation systems will become viable mass transportation. The futuristic vision of skyscrapers surrounded by airborne transport for mass commuting could be just a few years away, but are the world’s governments and existing transport providers and operators sizing themselves up for the change? Will today’s automotive companies with brands that rank continuously among the world’s leading names be lost in history or will they – as, for example, Mercedes has long stated – be part of the new transport solution? The Future of Transportation World Conference brings together world transportation leaders from automotive manufacturers and their suppliers, transportation authorities and city planners, rail and public transportation technology firms and operators, technology and software giants, drone and personal air transportation solution companies, freight and logistics companies, mass-transit solution providers, business consultants, and inventors of new and disruptive global mobility solutions, all with the common goal of devising better solutions for the increasingly demanding challenge of providing safe, efficient, sustainable transportation for the world in 2030 and beyond. As demand for transportation continues to increase to levels of chaos and gridlock, alternatives to ground-based transportation are starting to emerge for urban and inter-urban travel and commuting. We’ll be exploring legal issues, questions of liability and responsibility, the benefits to society and some of the possible shocks that could develop. 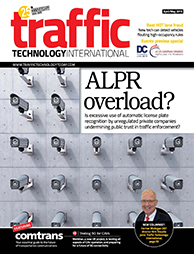 Vehicle manufacturers will see big changes including the probable effects of reductions in vehicle ownership, new ways of selling vehicles to a different ownership profile and challenges from new highly competitive mobility solutions. In this stream, we will explore several predictions for 5G and understand how the transportation network will be revolutionised by high fidelity, low latency with high capacity and secure 5G networks. In this stream, we will discuss the infrastructure requirements to service the demand. How will the energy companies and the fuel giants adapt to meet the rise in EV use? Is MaaS the next industrial revolution for transportation and urban mobility?